The quality of this bag is incredible. Check out the close up of the leather zipper pullers. Its like butter its so smooth when you unzip the bag. It is carefully crafted, so slim and comfortable on your back, you almost can't even feel it. Last Chance Gear: Save up to 50% Off at Goal Zero. Offer Ends 10/31/17. Shop Legacy Deals Now! Also, check out the other slim bag made by Cocoon Innovations that has a larger Grid-it system to hold more of your loose gadgets. This Buena Vista bag is perfect if you only have a few items, to add, but the Cocoon Slim has a much larger one for many more items to take with you. The Buena Vista Cocoon bag holds a laptop, tablet, books and papers in the main compartment. I love how you are also able to hold other accessories in the front pocket without the bag being bulky. 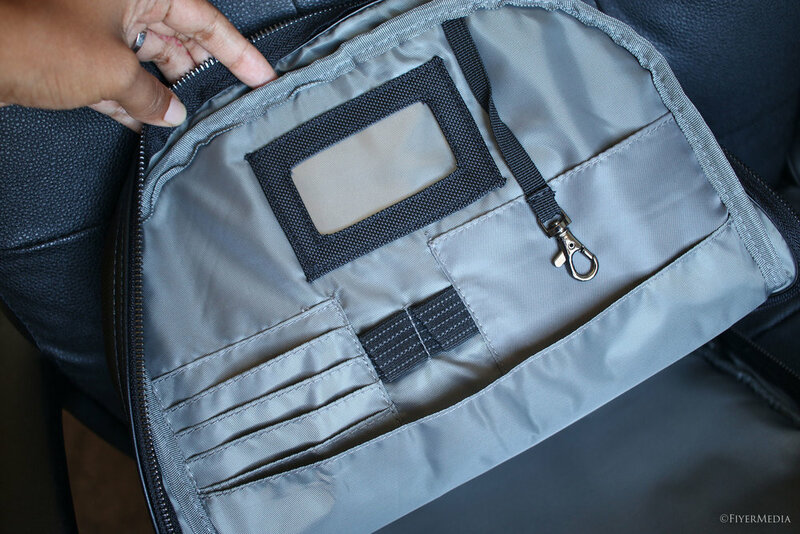 There is also a front zipper where the pocket goes very deep, you can add a lot of other items inside. I was able to add a portable charger, some batteries and a charger for my laptop. The back of the bag has a nice soft breathable cushion that will ensure that you are comfortable for wearing all day long. When you have a bag on for hours on end, you tend to sweat on your back and it becomes uncomfortable. But this bag, it is all around comfortable and very stylish! In the front of this bag, there is a section for the Grid-it system with enough room to pack your essentials for your day. There are so many different ways that you can arrange your items, there is no wrong way, and you can customize for each day. On the inside, besides the place for a 16" inch laptop and tablet, there is a section for your cards, keychain for keys and other small items. 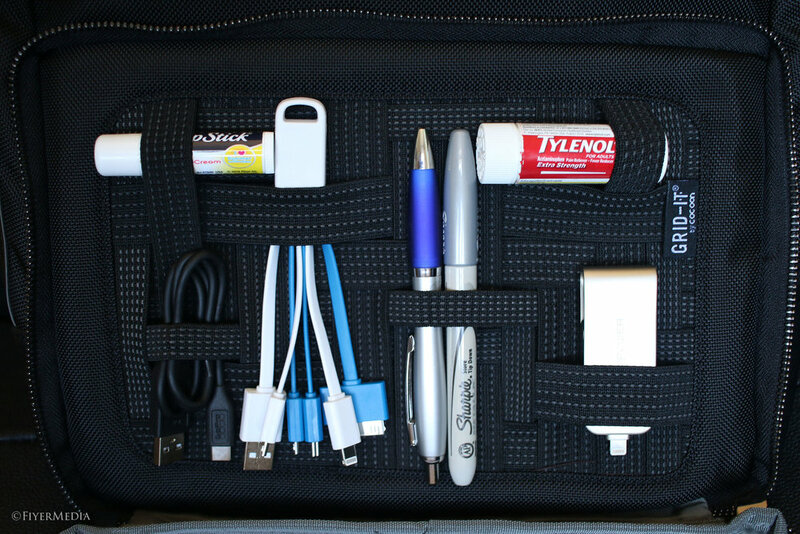 This makes for an extremely organized bag that you can take with you everywhere you go. Hit the button to grab your bag today!